The event will be held on Saturday, April 27, 2019 at the Jack Roth Stadium Club in Michigan Stadium. 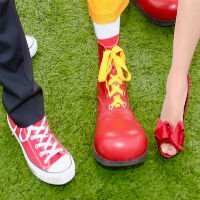 Proceeds from the Red Shoe Affair directly benefit the more than 1,200 families RMHCAA serves each year. Afterglow featuring Dueling Pianos, late night snacks, cocktails, and dancing. We have added an extra hour to this popular part of the evening! 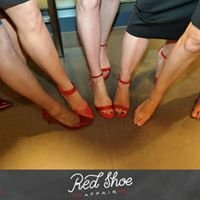 Cocktail attire; Red shoes are encouraged! 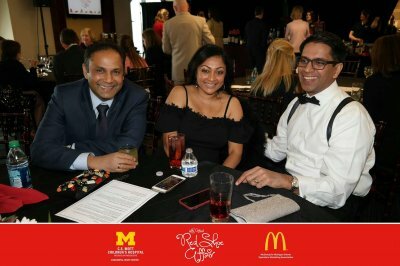 The mission of Ronald McDonald House Charities of Ann Arbor is to provide a "home away from home"
for families of children experiencing a serious illness or injury requiring hospitalization." 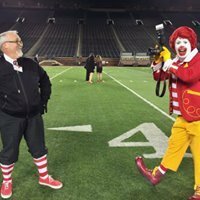 The Ronald McDonald House Charities of Ann Arbor have been built around one simple idea-nothing else should matter when a family is focused on the healing of their ill child. Since opening our doors 30 years ago, our Houses have impacted more than 26,000 families during their greatest time of need. Soft beds, warm showers and home cooked meals are just a few of the ways we alleviate stress and anxiety for families so they can focus on the health and well being of their child. 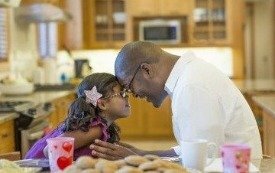 In 2018, RMHCAA served more than 1,000 families. 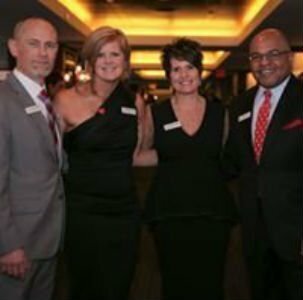 Donations make it possible for RMHCAA to house 43 families every night. The Main House has 31 rooms that can accommodate up to four people, has multiple shared living areas, indoor and outdoor play areas, and a dining room where dinner is prepared by volunteers almost daily. The Mott House located on the 10th floor of Michigan Medicine's C. S. Mott Children's Hospital, has 12 rooms. These bedrooms are available for a short-term stay for adult caregivers of patients being treated in one of the intensive care rooms. These rooms give parents and caregivers the comfort of being steps away from their child's bedside. Both Houses provide toiletries, pantries stocked with snacks and ready-to-heat food, laundry facilities, and internet access. 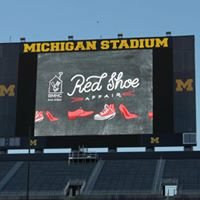 To donate an item for the Red Shoe Affair auction, please complete the information below and you will be contacted by a member of the auction committee to make further arrangements. We have receieved your donation and you should get an email confirmation shortly. If we need more information, we will reach out to the email/phone that you provided. Thank you again and we greatly appreciate your donation. Have another item to donate?